No need to speak too much about this fabulous piece of art. 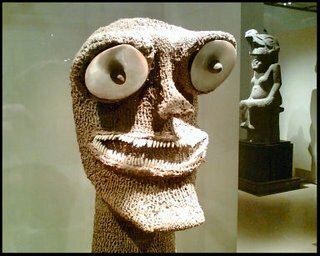 I found this whilst walking the Oceania section of the Musée du Louvre. I was still ill in Paris and Farida had gone home. So I took a pill and set out to visit the collection.